It’s important to keep the lines of communication open with your spouse about your current financial situation as well as your goals as a couple. Here are five tips to help guide you through this process. I’m guessing that most couples don’t think of a discussion with their spouse about money as an enjoyable event. Let’s be honest. Most money discussions begin when there is a perceived problem. Then the defenses come up, debating begins, and you can go ahead and cue the bad mood. A different method is to approach your financial conversation as just another scheduled event; like changing your refrigerator filter. Put it on the calendar. It could be the first Tuesday of every month, or on the day paychecks come in. Regardless of the time or day, a scheduled meet-up means there is no need to engage, discuss, explain. No one is on trial or in trouble. There is simply a day and time that this is done. This puts each spouse on equal footing from the beginning and invokes a better overall temperament for all involved. Also, don’t forget this is a date. It’s time alone with your spouse. Choose to have your talk at your favorite restaurant, or if your budget is a bit tighter, take it to the park with a picnic. Either way, the goal is to make this discussion an event that doesn’t have to be dreaded or avoided. Both of you are more likely to come to the table with a smile when some of the “work” is paired with some fun as well. So, while it may be true that your spouse’s financial habits are contributing to your growing crown of gray hair (and vice-versa; let’s be fair), try to remember that you are in this together. You’re a team. It can take some patience and understanding to have these discussions. While you listen to your spouse or partner, try to be reassuring and positive. They may be telling you some things that are difficult for them regarding past behaviors or their current view of your situation. Additionally, you must be able to admit your own mistakes. This will not only bring all of the information to the forefront that is needed to construct a good plan, but it will also bring you both together emotionally by removing any notions of the blame on either side. People bring a lot of preconceived notions about money, and more specifically, how to save or spend it. You and your spouse may have developed your own financial habits based on what you saw in your own home growing up. Habits may also be established purely by how spending or saving makes us feel. These habits may also be linked to how our brains respond when we make, or conversely, don’t make, purchases. 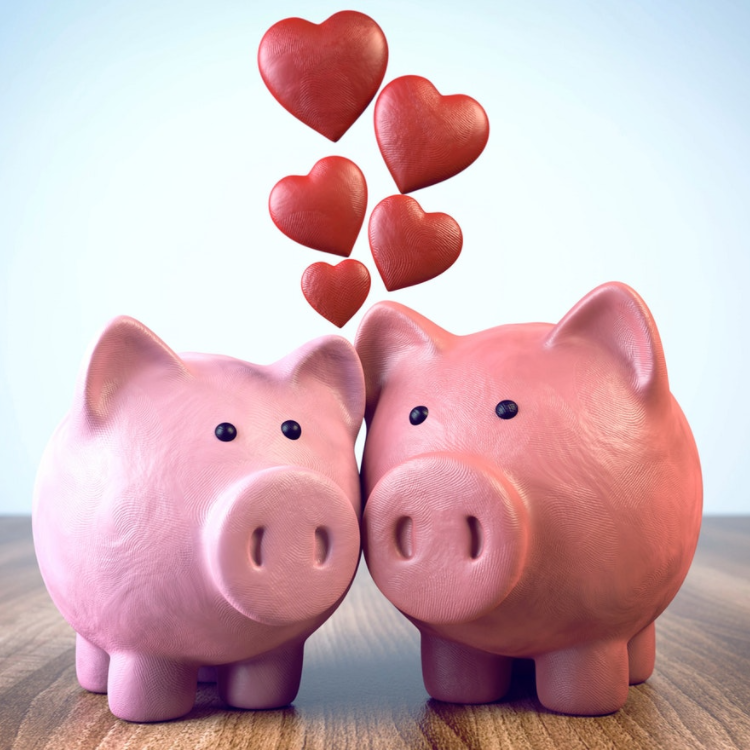 Essentially, you and your spouse may be “wired” differently when it comes to money. One may find that spending a little extra on a special bottle of wine makes for a more enjoyable and unique experience, while another may see the splurge as stressful, and consequently, they don’t enjoy the bottle of wine nearly as much as if they felt they could afford it. Also, you and your spouse may disagree on the number of loans you are willing to commit to for a home or other more substantial purchases. Even if you both can afford to carry these loans and agree the investment is something you both value having, the emotional impact of owing money has a varying effect on people. The bottom line being that we are different individuals with unique perspectives on how we feel about money; what we want to do with it, how much we feel we need of it, and what value it has to us. It’s important to listen to each other and hear these differences so that hopefully you both can come together to make an effective plan that you both can agree on and contently live within. When I say big picture, I mean your shared goals. What do you both want? What short-term and long-term goals would you like to achieve? What do you want your retirement would look like? It can be much more enjoyable to talk about money when it’s in the framework of, for example, saving up for a dream vacation, buying the home you wish to retire in, or giving a certain amount to a charity you are both passionate about. When you both look at your money as a way to create your ideal life, you both can approach it as the tool that it is; cutting back where you need to and allocating for what you know will bring you both the most fulfillment and joy. So, sit together and make a list. Think through what you both want out of life. Make some short-term and long-term goals. Some on the more “practical” side and some on the more “fun” side of things. It sounds much more enjoyable to contemplate how much you need to allocate to your emergency fund when you’re also thinking about saving for that special trip, doesn’t it? Sometimes having a third-party on hand to help with the technical aspect as well as the communication between you and your spouse can be very beneficial. 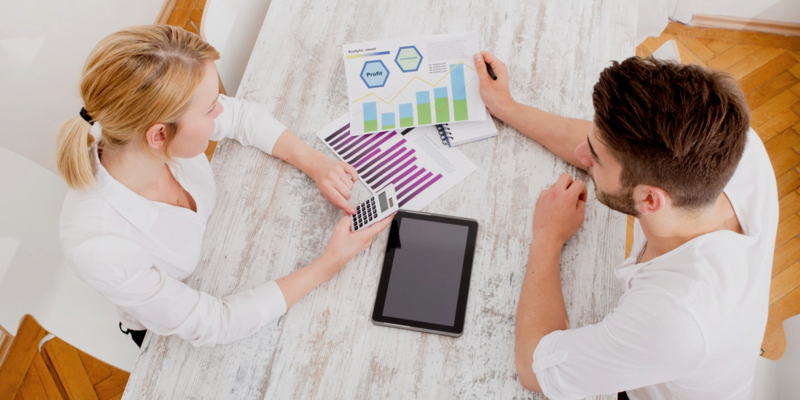 There may be goals that you and your spouse very much agree on, but don’t quite know how to get from A to B. That’s where a qualified, credentialed financial planner can help. He or she can help break down these goals and help you both come up with a plan to get you there. An objective professional can act as an intermediary, maneuvering through the emotion that sometimes accompanies financial issues between a couple, getting them to the finish line. They are, in many senses, your quarterback. Some couples may feel as if they don’t have time to see a financial advisor or even to gather their information to begin the process. The good news is that times have changed, and so much can be done online now through screen-sharing technology and online tools that can send data to your advisor that in-person meetings are often not necessary to get quality comprehensive planning. Be sure to look for a credentialed advisor. There are plenty of professionals that call themselves financial planners or investment advisors, but there are certifications, designations, and memberships in certain professional organizations that can give you, the consumer, peace of mind that your advisor has completed a comprehensive field of study and has the professional experience needed to serve you. Some of these designations include the Chartered Financial Analyst (CFA) designation and the Certified Financial Planner (CFP). Some professional organizations to look for are XY Planning Network and The National Association of Personal Financial Advisors, or NAPFA. These organizations are for Fiduciary Advisors, which are those advisors who do not accept commissions from entities such as banks or insurance companies. This ensures that your advisor is working in your best interest only and they have minimized conflicts of interest. Financial issues can cause a major strain on a relationship. Two people come into a relationship with their own ideas and accompanying habits about money. It’s important to take the time to discuss those differences so you can come together as a couple and work towards agreed upon goals and dreams for your financial future. For more information about this topic and more, feel free to schedule your no-obligation Discovery Meeting with FamilyVest.